Several hundred thousand tons of rock, traveling 26,000 miles per hour, collided with the earth 50,000 years ago. What a fiery explosion, a force greater than 20 million tons of TNT there was in northern Arizona. 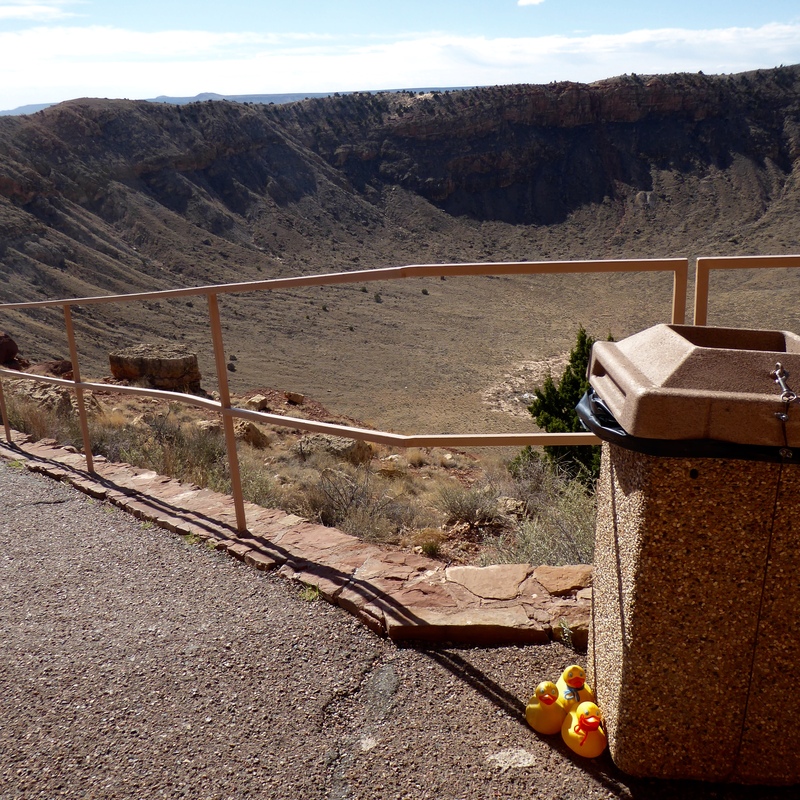 We, the Colorado Traveling Ducks, visited Meteor Crater. 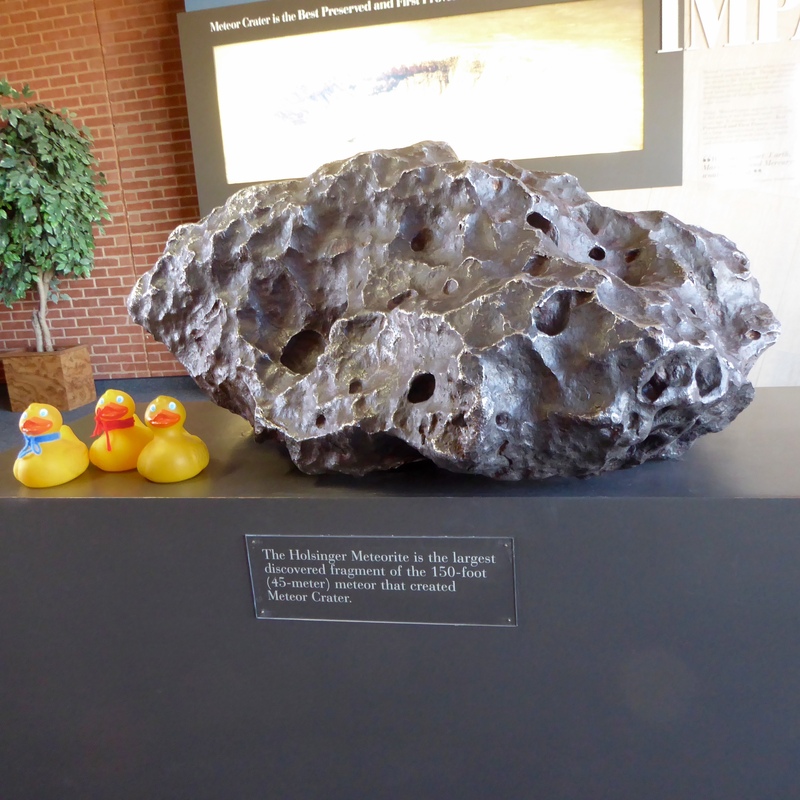 Entering the building we examined the Holsinger meteorite. This is largest fragment discovered from the 150 foot meteor that crashed into the earth. Much of the meteor vaporized on impact. First we watched a short movie about the impact of the meteor and the resulting crater in the earth. Our crater is not the oldest, nor is it the largest, on planet earth. But it is the best preserved. The isolated location and the dry Arizona desert, with only 7 inches of moisture annually, has not allowed much erosion or change to the site. Our crater is 550 feet deep. That is deep enough for a 60 story building to stand inside the crater and not reach over the top. 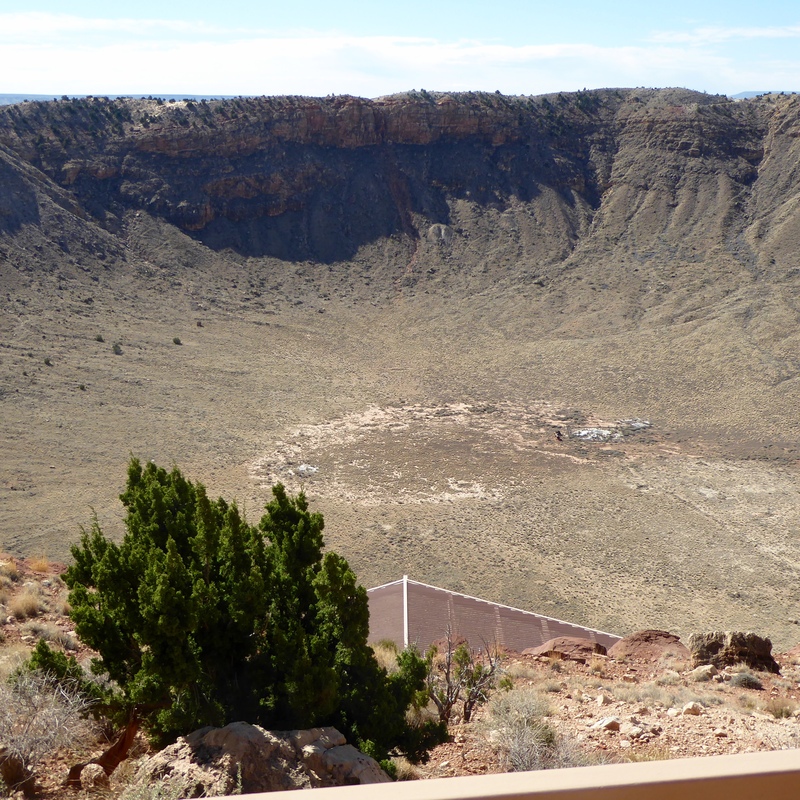 The hole is more than 4,000 feet across, with a circumference of 2.4 miles. This hole is big enough for 20 football stadiums with games being played and 2 million spectators to fit comfortably within the crater. That is big! It was a very windy day; the tours around the crater rim were cancelled due to wind. We ducks were outside, but we had to sit by this trash can so we didn’t blow away. But we had to be outside to see everything. 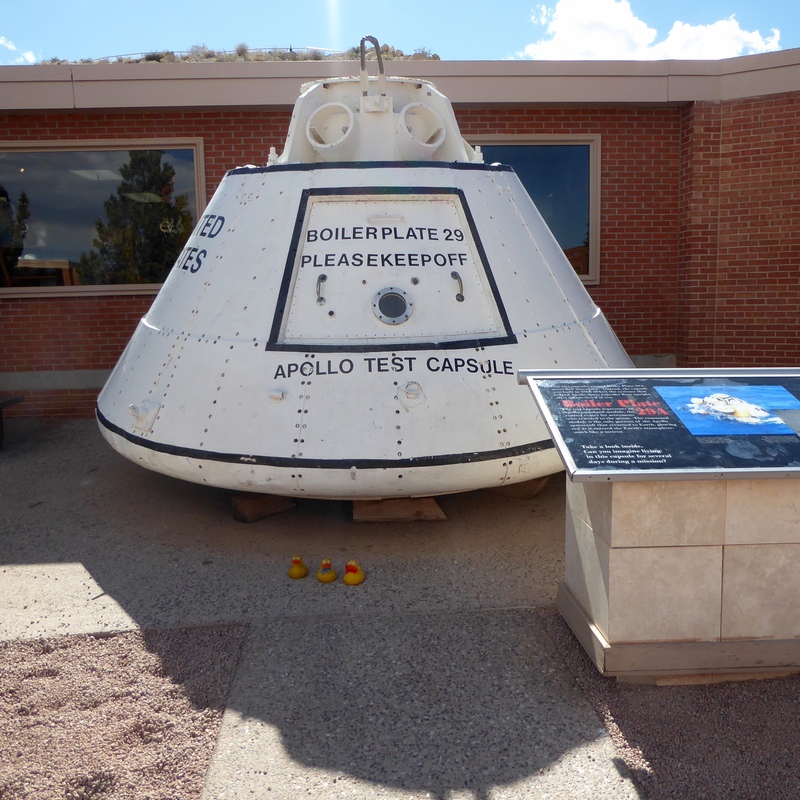 From 1964 to 1972 the Apollo astronauts trained here at Meteor Crater. The surface of the moon has meteor craters and the astronauts learned how to move on the surface and what types of materials to bring back to earth. This is a test capsule for the astronauts. Can you imagine living in a capsule this size for several days? This capsule is really small. Let’s talk about the speed of the meteor when it collided with the earth. We said it traveled at 26,000 miles per hour, but how fast is that? If you left New York, traveling at 26,000 miles per hour, you would arrive in Las Angeles in FIVE minutes. That is fast. 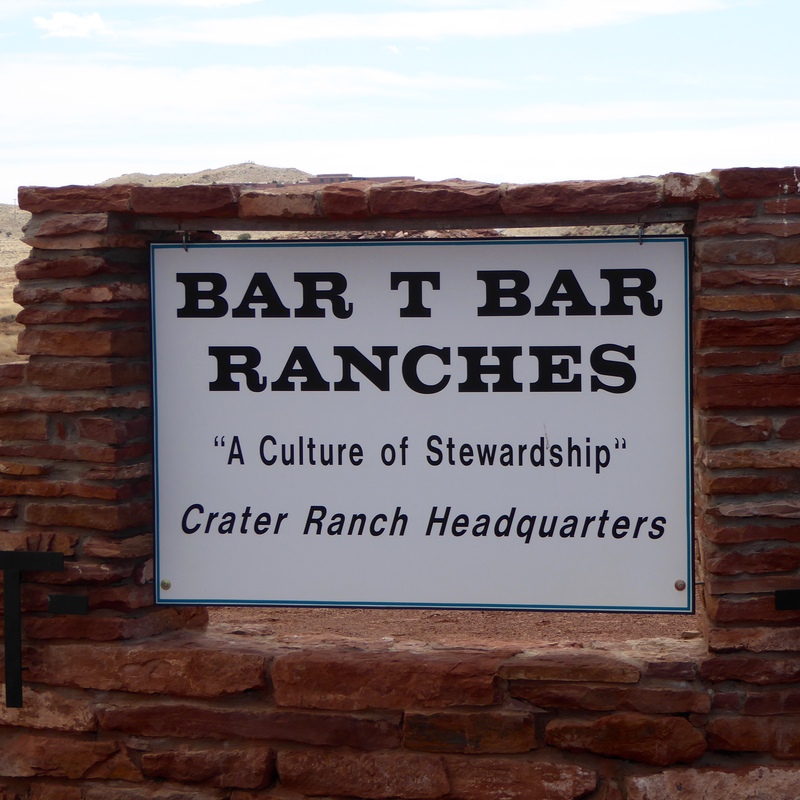 When you visit Meteor Crater, remember that it is on private property, and there is a real ranch here. This is a working ranch. Be careful. 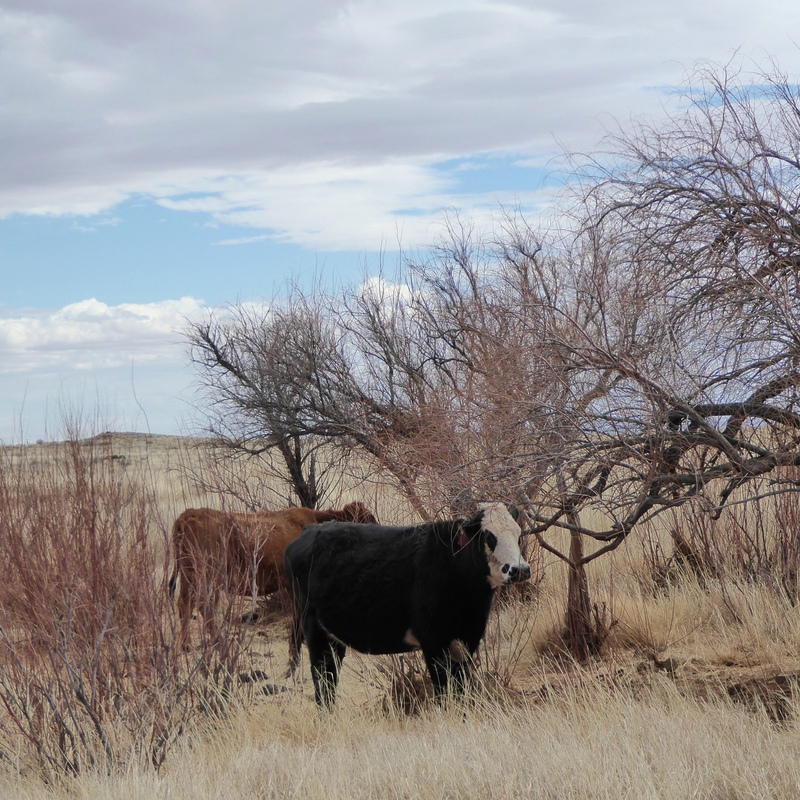 The cattle are free range cattle, no fences, so they can cross the road. 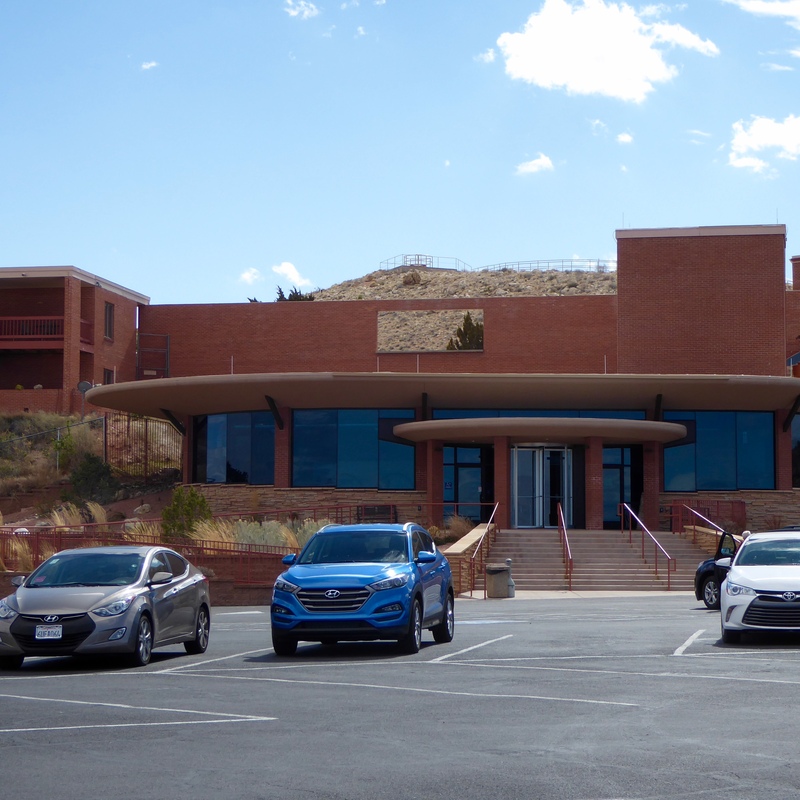 This entry was posted in Arizona, Uncategorized and tagged Apollo astronauts, Arizona, Colorado Traveling Ducks, Holsinger Meteorite, Meteor Crater. Bookmark the permalink. Crater is huge and it is not the largest. Interesting to see and the film tried to put it in prospective. Glad we drove the 10 miles from the highway. Just read your experience attempting Wolf Creek Crater. Hard for us to imagine that drive, heat and fire. Such determination. Grateful you got out alive and well. Thanks for reading and commenting.